Here are my spices. 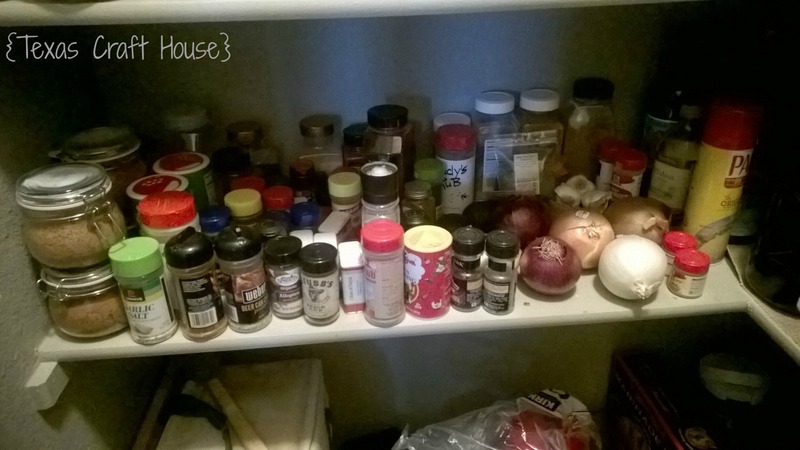 My husband and I love to cook and the spices have taken over our shelf space. They are hard to find and just look terrible. 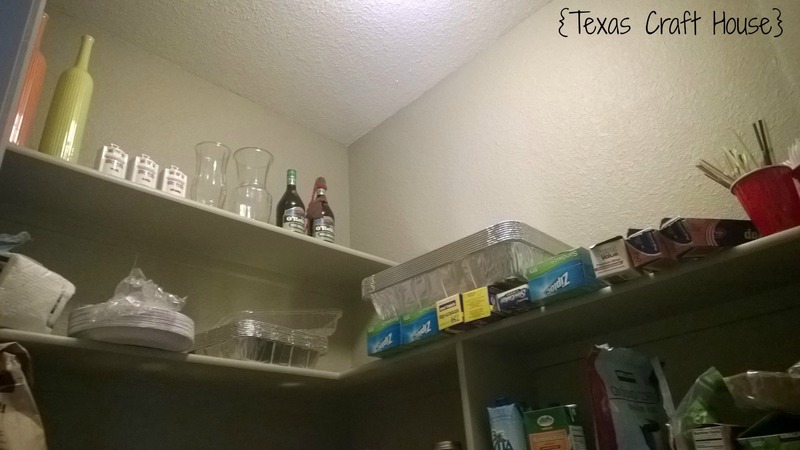 The bottom floor of our pantry is a bunch of random… well, excuse me, crap. Who wants to see dog treats and cat food when getting ingredients for dinner? 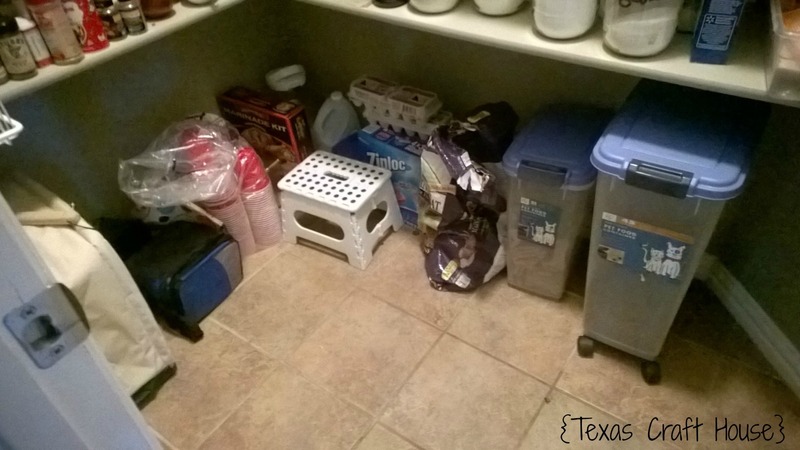 The top shelves are messy with tin foils, plastic bags and random silverware. Here is a front view. It hurts my eyes! 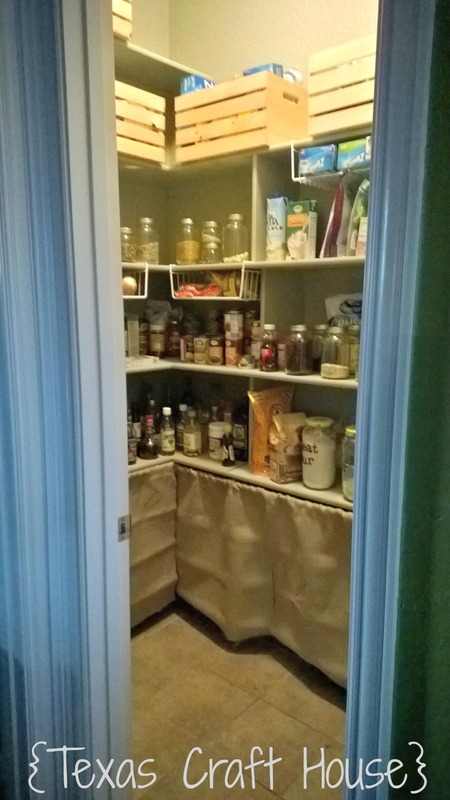 I decided the biggest thing was to cover up the floor, buy some storage, and organize those dang spices. 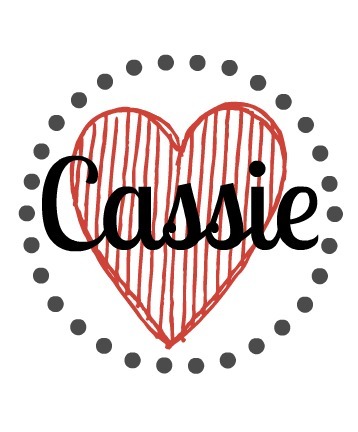 Here is what I came up with…. 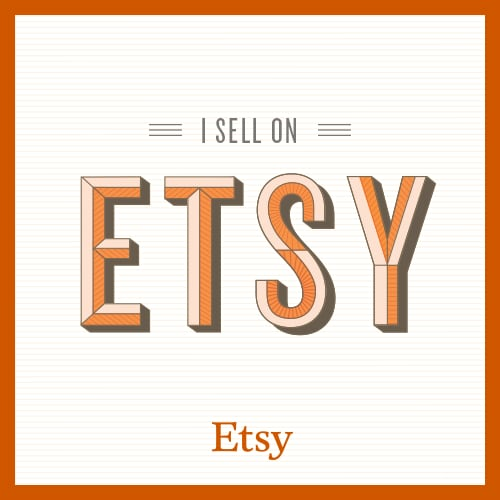 I bought some wall racks from The Container Store…. I got three baskets but will need to go back and get some more. These are awesome and really help de-clutter my shelves. I bought some of those wooden crates at Wal-Mart. Each crate has a purpose…. one has plastic silverware and plates, one has reusables (like tin foil and bags), one has vases, one has baking items and the last one is empty. I figured I should have an extra and have a plan ready for future items. I also purchased some under the shelf baskets to help hold my onions, potatoes and garlic. I have another under the shelf basket for every day items and another for bread. This frees up so much space! I even got some white spice baskets for my extra spices. 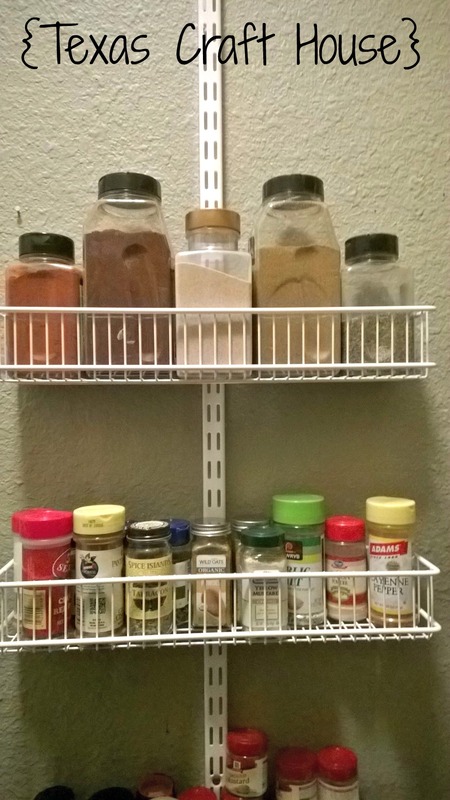 My intention is that the wall spices are for the most commonly used ones (herbs, cumin, garlic, etc) and the baskets are for my husband’s meat spices and rubs… (he has an addiction, too…). I even got some tension rods and hot glued some burlap to make floor curtains. I just used hot glue for this part. I like the idea of burlap because if it does start to fray it will kind of go with the rustic theme and the color will help to keep it look clean. 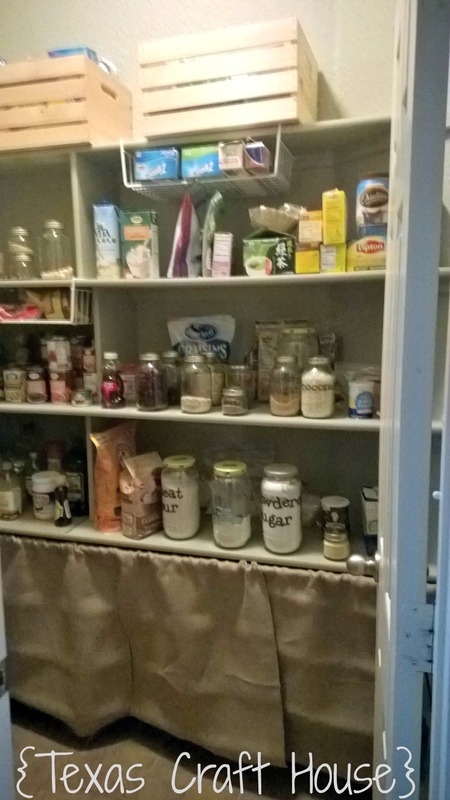 Here is the after photo of the pantry. I think it looks so much better! I’ve already been storing my dry goods in glass mason jars (it really does help the look of the pantry and makes it easy for me to grab and go). Another tip…. 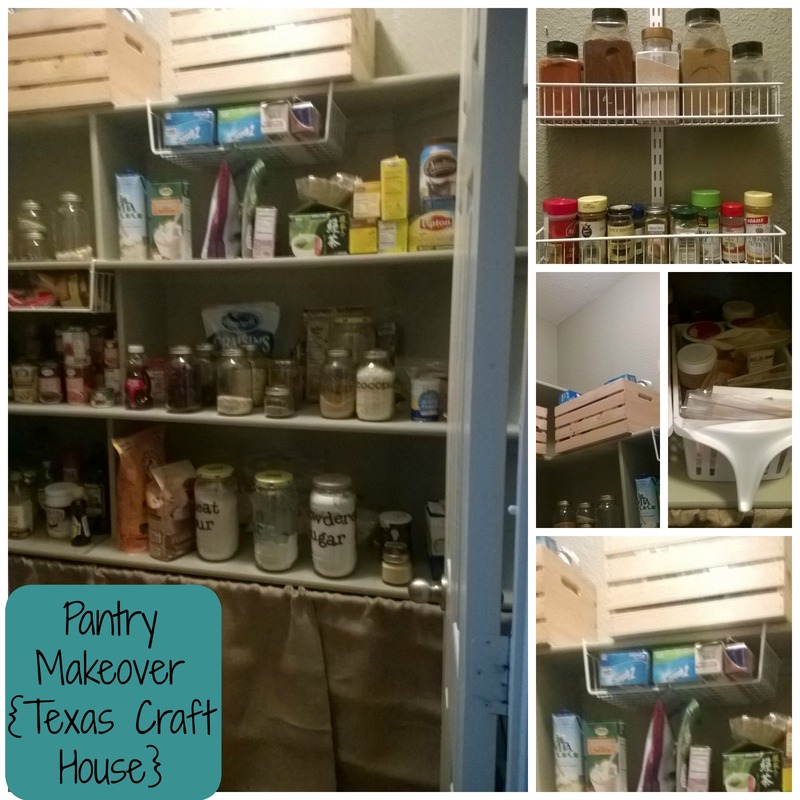 when we first moved in we had our pantry painted (along with the rest of our home). This was the #1 smartest thing we’ve done and would do it again if we ever moved. Even the shelves are painted the gray color. 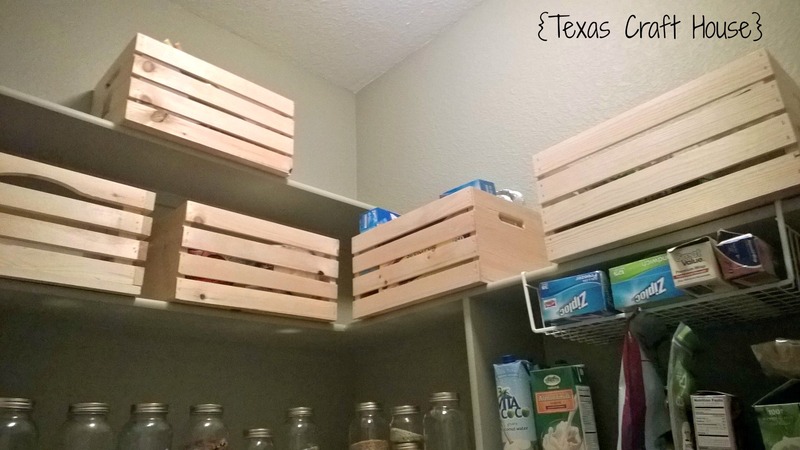 This really helps hide any common messes or scuffs that typical pantries have from wear and use. I think my fridge needs a makeover next. What is something you are planning to re-do in your home?